Fifth-ranked Herd (8-25) made lots of trouble for second ranked Raptors 905 (21-12) in Mississauga on Wednesday. Raptors 905 managed to secure only three-point victory 115-112. However their fans expected easier game. Raptors 905 made 18-of-23 free shots (78.3 percent) during the game. 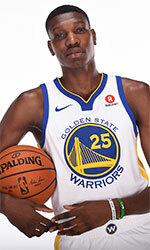 The best player for the winners was Canadian-Saint Lucian power forward Chris Boucher (208-93, college: Oregon) who had a double-double by scoring 34 points (!!!) and 12 rebounds. point guard Jordan Howard (180-96, college: Cent.Arkansas) chipped in 27 points and 4 assists. Raptors 905's coach used a ten-player rotation in such tough game. Guard Michael Qualls (197-94, college: Arkansas) produced 24 points, 8 rebounds and 4 assists for the guests. Defending champion keeps a position of league leader, which they share with Lakeland M. Herd lost third consecutive game. They keep the fifth place with 25 games lost. An exciting game was played in Grand Rapids. Third ranked Drive faced one of their biggest challengers Canton Charge. Host Drive (16-18) defeated guests from Canton (12-21) 119-109. Trinidad and Tobago center Johnny Hamilton (213-94, college: Texas Arlington) orchestrated the victory with a double-double by scoring 15 points and 12 rebounds (on 7-of-9 shooting from the field). Isaiah Whitehead contributed with 19 points, 5 rebounds and 4 assists for the winners. Guard Levi Randolph (196-92, college: Alabama) replied with 26 points and 4 assists for Canton Charge. Both coaches used bench players which allowed the starters a little rest for the next games. Drive have a solid three-game winning streak. They maintain third position with 16-18 record having four points less than leader Windy City B. Canton Charge lost sixth consecutive game. They keep the fourth place with 21 games lost. An exciting game was played in Stockton. First ranked Warriors faced second-ranked Kings. Guests from Bismarck (25-9) defeated host Kings (20-13) 95-88. Kendrick Nunn scored 21 points and 7 rebounds to lead the charge for the winners. Cameron Reynolds responded with a double-double by scoring 30 points and 10 rebounds. Kings' coach rotated ten players in this game, but that didn't help. Warriors maintains first position with 25-9 record. Kings at the other side keep the second place with 13 games lost. Fifth-ranked Herd (8-25) made lots of trouble for second ranked Raptors 905 (21-12) in Mississauga on Wednesday. 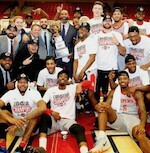 Raptors 905 managed to secure only three-point victory 115-112. However their fans expected easier game. Raptors 905 made 18-of-23 free shots (78.3 percent) during the game. The best player for the winners was Canadian-Saint Lucian power forward Chris Boucher (208-93, college: Oregon) who had a double-double by scoring 34 points (!!!) and 12 rebounds. Point guard Jordan Howard (180-96, college: Cent.Arkansas) chipped in 27 points and 4 assists. Raptors 905's coach used a ten-player rotation in such tough game. Guard Michael Qualls (197-94, college: Arkansas) produced 24 points, 8 rebounds and 4 assists and forward Bonzie Colson-Jr (196-96, college: Notre Dame) added 28 points and 5 rebounds respectively for the guests. Both teams had five players each who scored in double figures. Defending champion keeps a position of league leader, which they share with Lakeland M. Herd lost third consecutive game. They keep the fifth place with 25 games lost. An exciting game was played in Grand Rapids. Third ranked Drive faced one of their biggest challengers Canton Charge. Host Drive (16-18) defeated guests from Canton (12-21) 119-109. Drive outrebounded Canton Charge 51-32 including a 39-25 advantage in defensive rebounds. Their players were unselfish on offense dishing 24 assists. Trinidad and Tobago center Johnny Hamilton (213-94, college: Texas Arlington) orchestrated the victory with a double-double by scoring 15 points and 12 rebounds (on 7-of-9 shooting from the field). Guard Isaiah Whitehead (191-95, college: Seton Hall) contributed with 19 points, 5 rebounds and 4 assists for the winners. Guard Levi Randolph (196-92, college: Alabama) replied with 26 points and 4 assists and point guard Kobi Simmons (196-97, college: Arizona) added 24 points and 5 assists in the effort for Canton Charge. Five Drive and four Canton Charge players scored in double figures. Both coaches used bench players which allowed the starters a little rest for the next games. Drive have a solid three-game winning streak. They maintain third position with 16-18 record having four points less than leader Windy City B. Canton Charge lost sixth consecutive game. They keep the fourth place with 21 games lost. An exciting game was played in Stockton. First ranked Warriors faced second-ranked Kings. Guests from Bismarck (25-9) defeated host Kings (20-13) 95-88. Warriors dominated down low during the game scoring 66 of its points in the paint compared to Kings' 32. Warriors forced 22 Kings turnovers. Guard Kendrick Nunn (190-95, college: Oakland, agency: Pensack Sports) scored 21 points and 7 rebounds to lead the charge for the winners and Deyonta Davis (208-96, college: Michigan St.) chipped in 12 points and 13 rebounds during the contest. Five Warriors players scored in double figures. Guard Cameron Reynolds (203-95, college: Tulane) responded with a double-double by scoring 30 points and 10 rebounds and Troy Williams (201-94, college: Indiana) scored 19 points and 7 rebounds. Kings' coach rotated ten players in this game, but that didn't help. Warriors maintains first position with 25-9 record. Kings at the other side keep the second place with 13 games lost.